Londo Lodge, an exclusive beach & bush resort north of Pemba, Mozambique. Set on a peninsula surrounded by blue Indian Ocean waters and East Africa’s finest beaches, this private boutique resort is hidden amidst lush virgin African baobab bush and abundant coral reefs. Londo Lodge has only six luxury villas to guarantee full exclusivity and privacy. Breathtaking sunset views over the Pemba bay area, delicious seafood, superb diving, immaculate service and true romance; experience the ultimate. Londo Lodge is a private boutique hotel in northern Mozambique with a bush & beach treat; abundant coral reefs and ancient baobab trees meet on the Londo Lodge peninsula. Only 6 spacious, octagon villas with ocean-view guarantee complete luxury and privacy. Facilities include a private beach & mangrove beach-bar, eclectic restaurant, cliff edge swimming pool and spa, library and a cigar bar. There are numerous activities such as snorkeling, diving, game & fly-fishing, bush walks, bird watching, mangrove river trips and sunset sailing on traditional dhows. A unique retreat of luxury in authentic Africa. Londo Lodge is an amazing combination of modern luxury with traditional building. Each ocean-view villa is built on a 7 meter high cliff overlooking the majestic Pemba bay. Octagon shaped, 75m2 large, outside teak decking, louvered 3 meter wide doors and traditional bamboo & thatch roofing, spacious is an understatement. All villas are fitted with handmade UK mattresses, Belgian bed linen, in & outdoor bathrooms, handmade chrome taps and showers, draped mosquito nets and a/c units. Eclectic in design, the villas have a delicate look & feel where Moroccan art blends in with traditional Maconde woodcraft and Victorian mirrors. Londo Lodge are a mixture of land and sea. The Indian ocean has given us beautiful coral reefs; snorkel or dive with our PADI instructor. Game-fishing and fly-fishing are available as are mangrove river trips, waterskiing or canoeing in a traditional dug-out. The Quirimbas national park has given us spiritual virgin baobab bush with vast areas of woodlands & fine bush that is the playground of numerous small game; or simply enjoy the cacophony of hundreds of species of tropical east African birds singing their songs. Our spectacular cliff-edge based Spa offers beautiful views over the Londo bay and our wide range of treatments such as Full Body massages, Deep Tissue, Facials, Manicure, Pedicure, Body Wraps, Papaya-Ginger Scrubs and Pre Sun coconut treatments will rejuvenate your body and soul. Mozambique, often described as the unknown pearl of Africa, has 2500 km of white beaches, vast areas of untouched bush land and large mangrove forests along the Indian ocean coastline. The northern provinces of Cabo Delgado and Niassa are renowned for the Niassa Game Reserve and the Quirimbas National Park. Pemba and its surroundings offer turquoise seas, palm-fringed beaches, excellent diving, game-fishing and bush drives. The casino, an international airport and proper medical facilities provide the region with all the ingredients to enjoy a unique and tropical Africa holiday. It is a simple journey: fly to Pemba via Johannesburg, Nairobi or Dar es Salaam; SA Airlink, LAM and Precision Air all operate reliable and convenient direct flights. Only a 15 minute boat ride from Pemba, Londo Lodge lies just north of town in the bufferzone of the Quirimbas National Park. 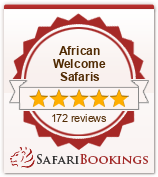 Combine a Londo Lodge treat with Kruger Park, Serengeti, Masai Mara, Selous or Zanzibar.